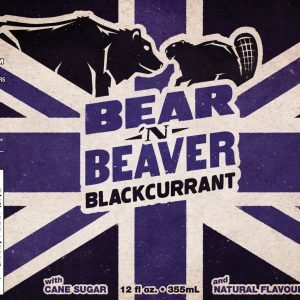 Bear ‘n Beaver is a craft soda brand that tastes as great by itself as it does in a cocktail. It’s two parts fun, two parts sophistication, a splash of modern, plenty of retro, and rustic flair to taste. Shake to combine, serve over ice, and enjoy! 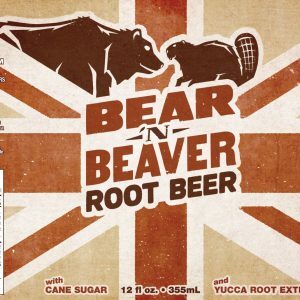 Bear 'n Beaver is another great product brought to you by DD Beverage Co. When people reach for a craft soda, it’s because they’re looking for more than just high fructose corn syrup and carbonated water. Whether it’s a standard cola, or something with a more exotic twist, what the craft soda consumer wants is an elevated soda experience. 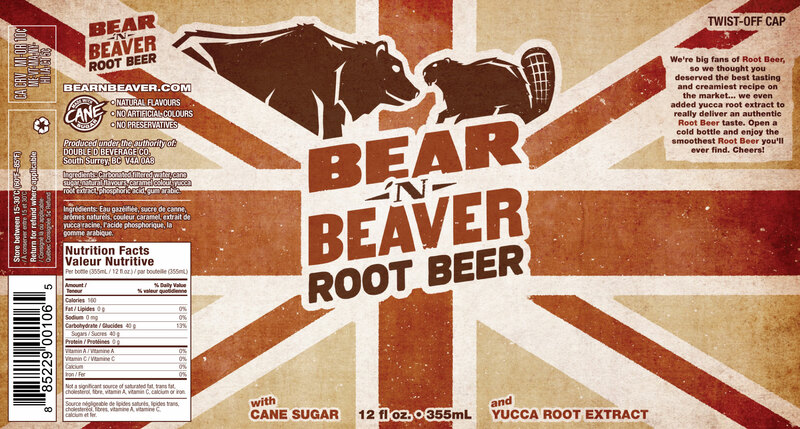 Bear ‘n Beaver is a new, premium craft soda line. 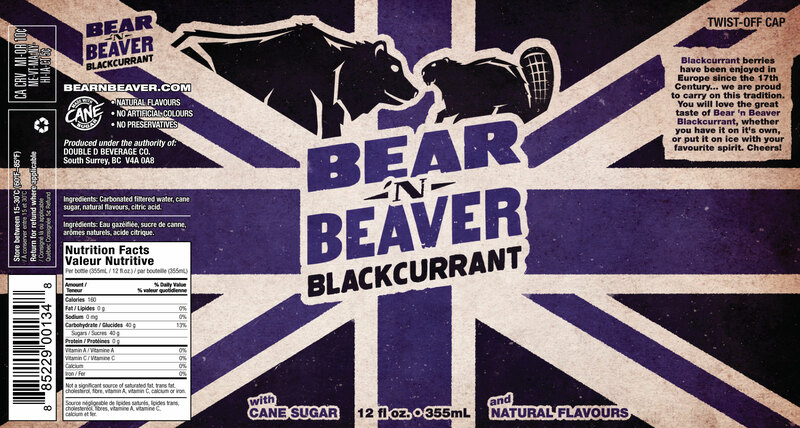 This sophisticated beverage brand, with ginger beer, root beer, and blackcurrant varieties, strikes the perfect balance of sweetness and flavor. 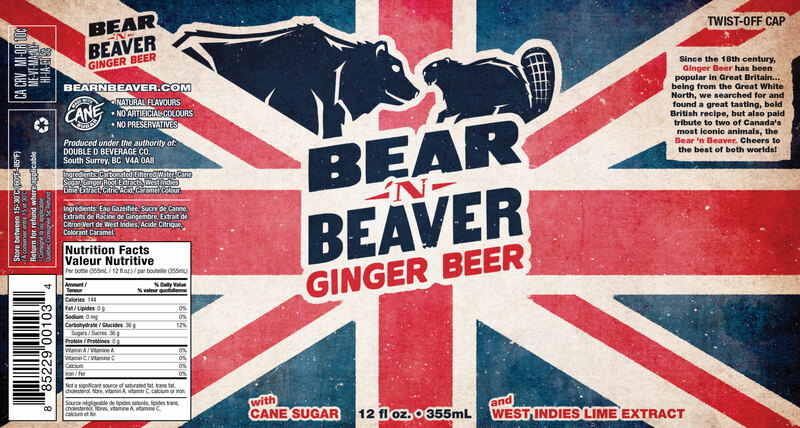 Made with quality ingredients like real cane sugar, and West Indies lime extract, Bear ‘n Beaver craft sodas are designed to taste great both on their own, or mixed into cocktails! 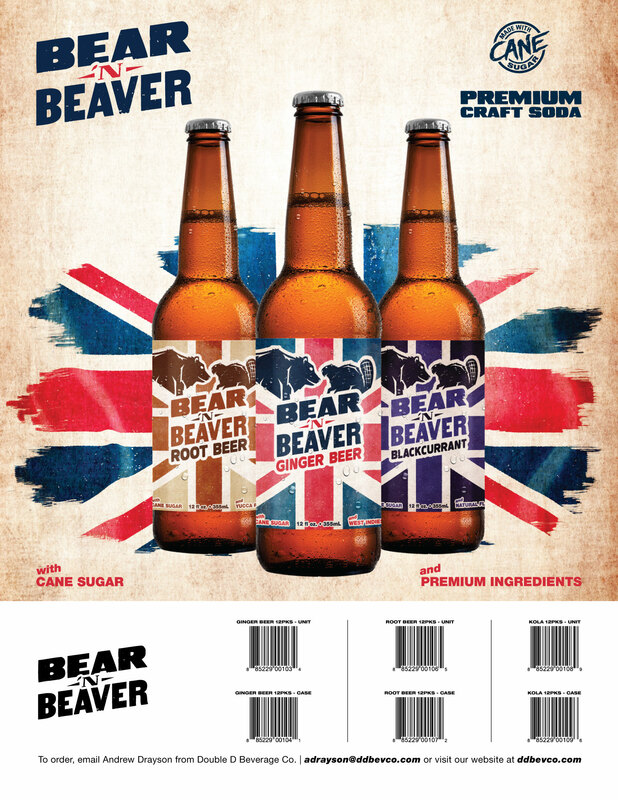 The Bear ‘n Beaver product family. 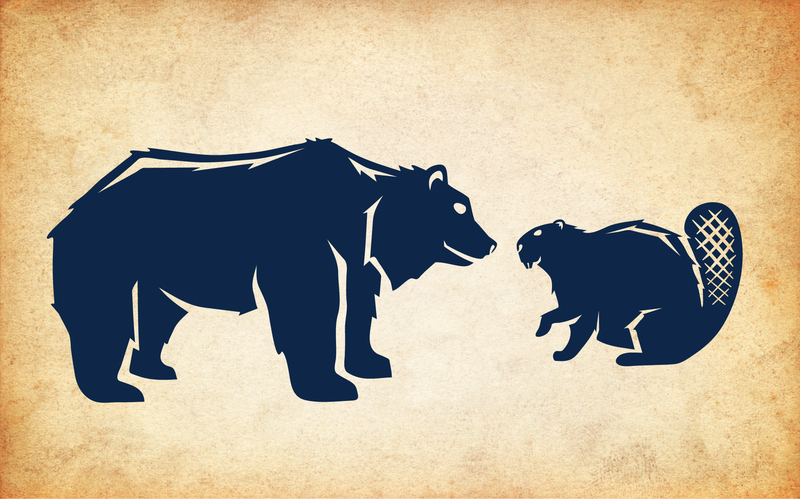 Two of Canada’s most iconic animals, the Bear and Beaver, were chosen for the brand’s figureheads and mascots. The use of national icons helps create a sense of longevity, and the British flag is no exception, it adds a dash of sophistication as well. Fun, vibrant colors help with shelf presence. They also make great sense for a soda brand. Whether enjoyed on its own, or as part of a mixed drink, the soda experience is meant to be fun. 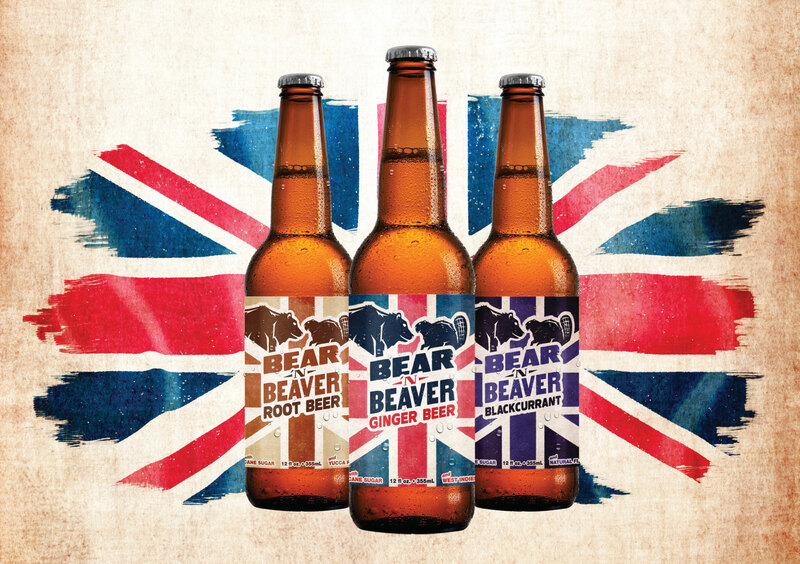 We’ve created a number of materials to help support the Bear ‘n Beaver brand. 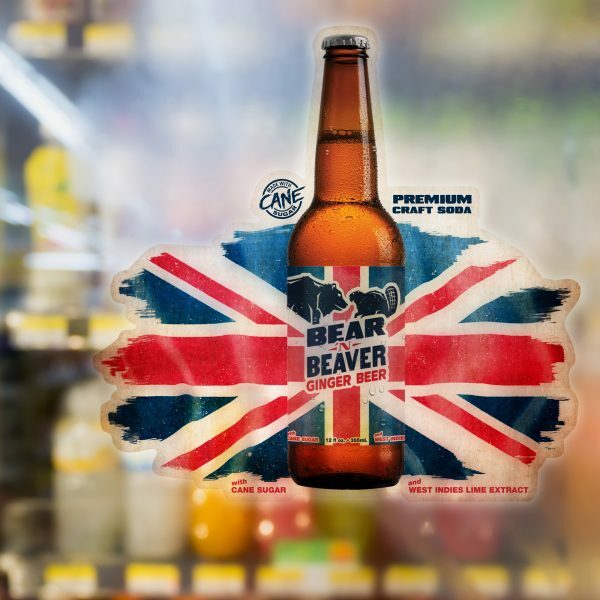 Die cut Bear ‘n Beaver window/cooler decal. It’s no secret that Ginger Beer makes a great mixer for Moscow Mules. 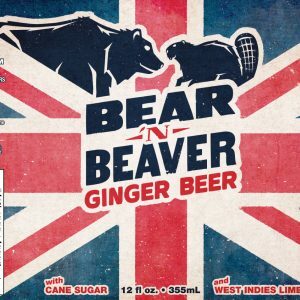 So when Russian Standard Vodka started looking for a partner for a seasonal drink mixer promotion, Bear ‘n Beaver ginger beer was the obvious choice! 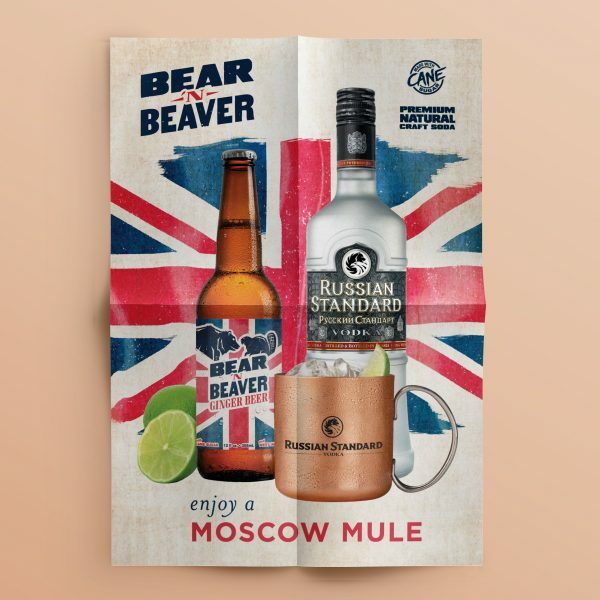 Russian Standard Vodka collaborative promotional poster.